It’s been quite the journey for Norwegian Bliss since she left Bremerhaven and Germany behind to make her way to Seattle where she’ll be homeporting. She’s called in at Southampton, completed a transatlantic crossing to New York and now she has achieved something a little bit special. 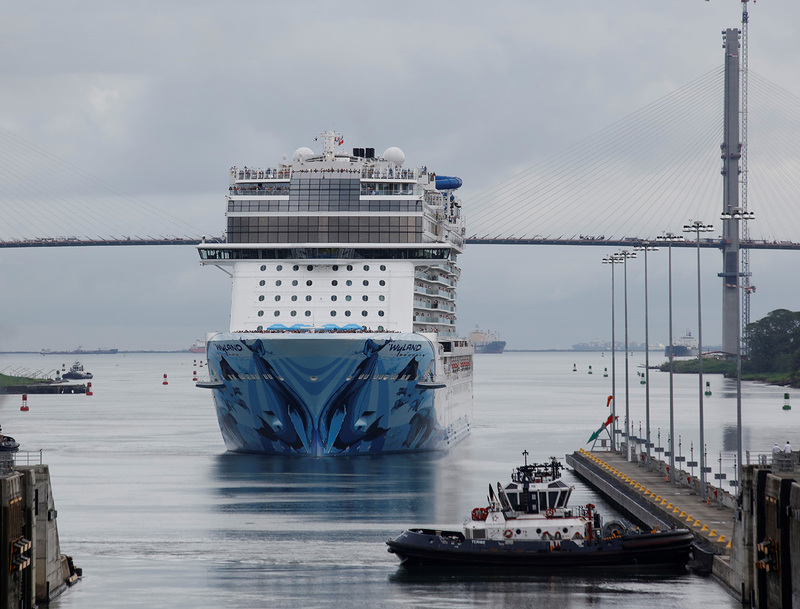 Norwegian Bliss last week became the largest passenger ship to transit the Panama Canal since the completion of the canal’s expansion project in 2016. As the newest and largest Norwegian Cruise Line ship at over 168,000 gross tons and a capacity of 4,004, double occupancy, she passed through the new set of locks, on both the Atlantic and Pacific sides. The new locks were constructed as part of the biggest enhancement project since the canal’s opening in 1914. Norwegian Bliss cruised through the canal, on her way to Los Angeles, California, and will complete her first Panama Canal cruise on Friday 25 May. “We are very proud to showcase our newest ship and celebrate one more exciting milestone with Norwegian Bliss as the largest passenger ship to transit the new Panama Canal,” said Andy Stuart, president and chief executive officer of Norwegian Cruise Line. Norwegian Bliss will arrive in Los Angeles for a preview event on 25 May before making her voyage to Seattle.